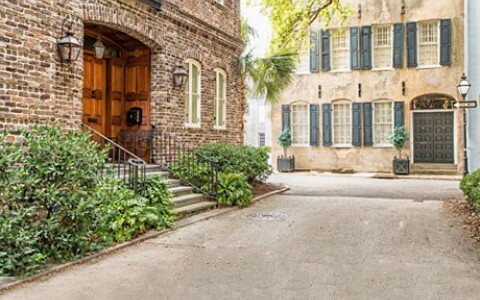 Strike out in any direction and you’re surrounded by Charleston’s rich history and stunning architecture. 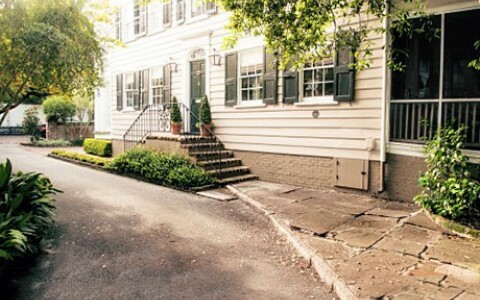 Here, Elliott House Inn, shares four easy, self-guided walking tours spanning a half-mile to 1.25 miles north, south, east and west of the inn. 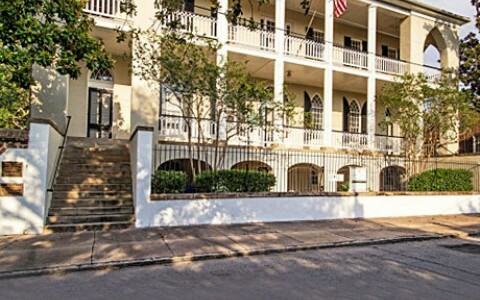 We're happy to organize additional tours on your behalf and provide more information on beautiful Charleston. Zig Zag Alley was known for its meandering course and narrow passage. It was at one point called Lightwood Alley, but the name was changed back to Zig Zag Alley in the 1970s. The Dock Street Theatre was the first theatre set up in the United States solely for theatrical performances. In the early 19th century it was a hotel named the Planter’s, famous for Planter’s Punch. 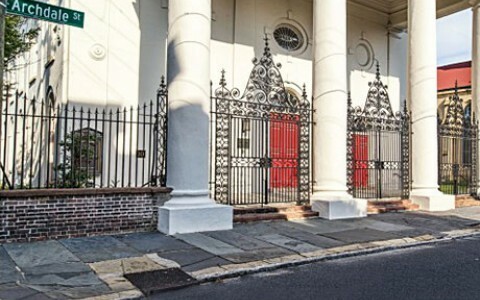 The Mother Church of The Episcopal Diocese of South Carolina, St. Philip’s is the oldest church congregation in historic Charleston. John C. Calhoun, Vice President of the United States, and Edward Rutledge, youngest signer of the Declaration of Independence, are buried there. 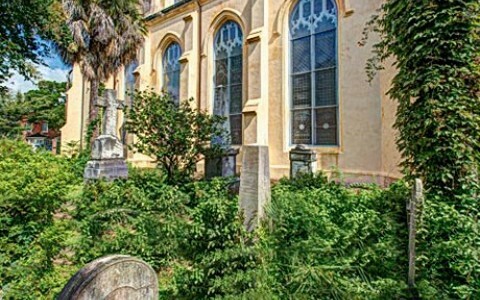 *This hidden courtyard is closer to the Queen Street side of the St. Philip’s Cemetery. Philadelphia Alley was constructed in 1766 from bricks given to the city by Philadelphia after one of Charleston’s major fires. Also, it was a place where people would duel to settle their disputes. 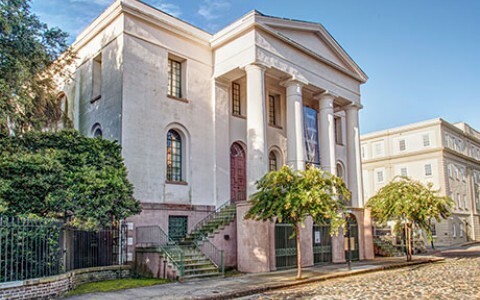 From its inception over 260 years ago, the Charleston Library Society has been a cornerstone of intellectual and cultural life in Charleston. 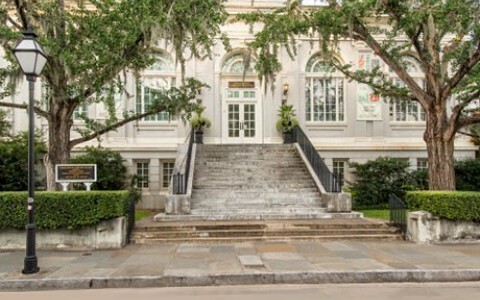 Founded in 1748, the library is the third oldest subscription library in the United States. 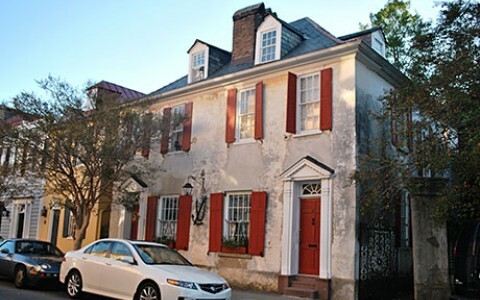 Today it is a center for scholarly research and a modern lending library in the heart of downtown Charleston. 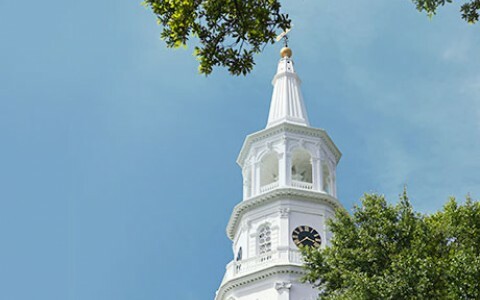 The Unitarian Church is the oldest of its denomination in the South. A group of dissenters founded this church in 1772. Both the Patriot Army and the British Army used the church for shelter during the American Revolution. St. John Lutheran Church is the oldest Lutheran Church in South Carolina. One of America’s first African American ordained ministers was ordained by the Rev. John Bachman, minister of the St. John’s Lutheran Church. Bachman was a world-renowned minister and naturalist. The Old City Jail was used from 1802-1939. The most notorious criminals housed here where John and Lavina Fischer. The latter is said to have been America’s first female serial killer. The Old Marine Hospital was used by the Jenkins Orphanage. 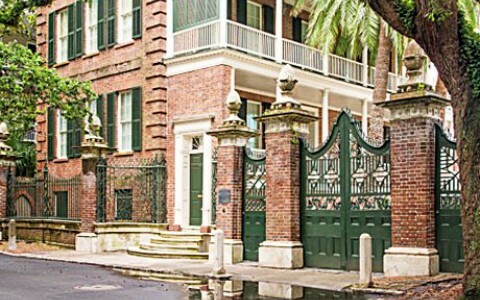 The Jenkins Orphanage was an all African American orphanage that was one of the first to internationally promote Jazz. The first church on this site was The Cathedral of St. John and St. Finbair. 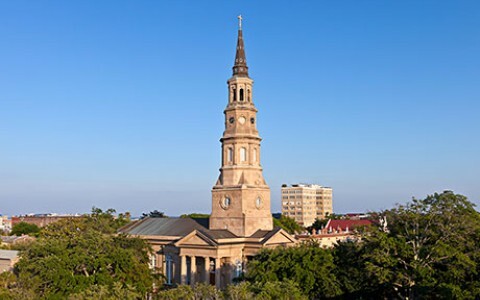 The first church was destroyed by Charleston’s great fire of 1861. The present structure was opened in 1907. Catholicism found its first home in both the Carolinas and in Georgia at St. Mary’s on Hassell Street. The Swords Gate House is famous for the Swords woven throughout the ironwork of the gate. 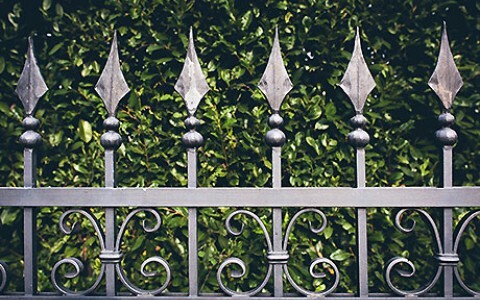 The gates were manufactured by Christopher Werner who also forged the swords in the gates at the Citadel. 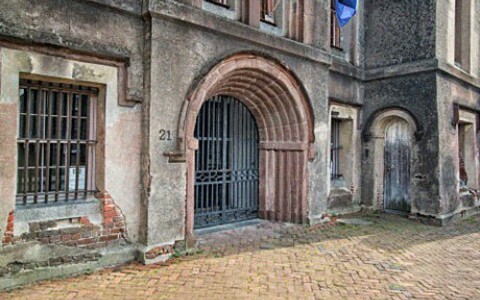 The Swords Gate House was at one time used as a school for female education. 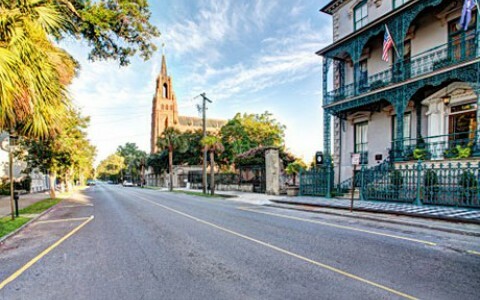 St. Michael’s is the oldest church structure in Charleston. Pew 43 is known as the famous pew in the church, because George Washington, Robert E Lee, and Princess Diana and Prince Charles sat there. Prior to George Washington being the first President under the Constitution, Henry Laurens and Henry Middleton were Presidents under the Articles of Confederation along with eleven others. Both Laurens and Middleton also attended church at St. Michael’s. John Rutledge and Charles Coatesworth Pinckney, signers of the United States Constitution, are buried here. 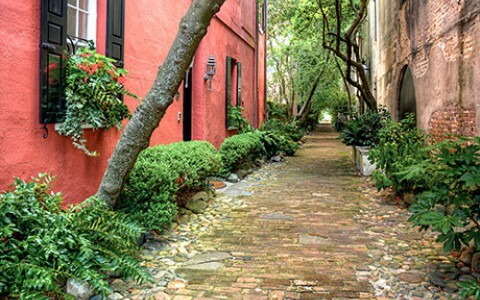 Bedons Alley boasts many homes from the Victorian Architectural period of Charleston. Bedons Alley had several fires that consumed the alley throughout the mid-19th century. The Exchange and Provost Dungeon was the last building in the American Colonies that was built with British money. During the Revolutionary War, the Provost Dungeon was used as a prison for patriots. Washington Square Park was originally known as City Green Park. 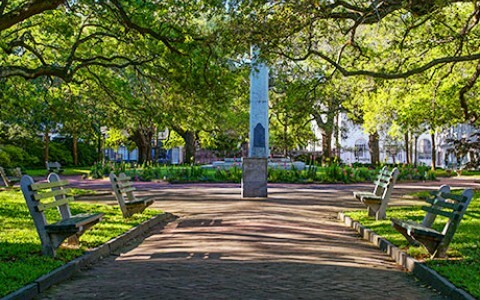 It was rededicated Washington Square Park in 1882 to commemorate George Washington’s 100th year anniversary of the Battle of Yorktown. 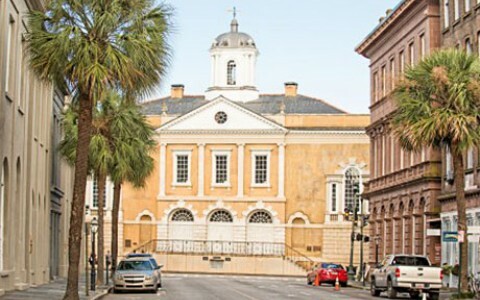 The South Carolina Historical Archives Building was the first fireproof building in the United States. The building was designed by Robert Mills, architect of the Washington Monument. Take a walk of discovery with one of our custom tours and itineraries. 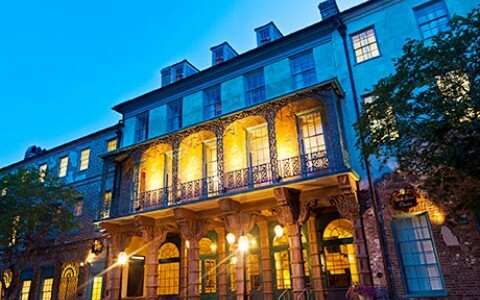 We're happy to organize additional tours on your behalf and provide more information on beautiful Charleston.